very goodlah. use for almost 1 week. feel sooo comfortable. but my concern on gps function ready or not? I cant send sms from this phone, when i try to send an error received and msg remains in outbox, pls help me or pls tell me the how can I restore default settings (Restore factory settings). I got a Nokia 9500. I had no problems using with it. Until it came that you get a system message stating you can not send texts, "Not Enough Memory". What I did before was to refresh the phone by, turning it off, pulling out the battery, SIM and MMC. Put it back on, and it works. applications and try again. " I tried draining the battery, backup then restore the phone, close all applications, etc. What shall I do? The phone is just collecting dust in my room now. 1-it is possible to create and edit office documents (not only Excel but also Word and PowerPoint)using the office suite which comes with the device. You may also install "documents to go" a third party app. for doing this but not really necesary. 2-the inner keypad is not illuminated, but this is not important because the displays's light gives you all the light necessary. 3-the mentioned combination of keys (during start-up of the device) formats the device with the loss of all data. For restoring factory settings use "ctrl+shift+L. 4-If you need (or want)to watch AVI videos it is neccesary to install SmartMovie or DVD player for S80v2 because the realplayer can't handle that format. 5-The internet browser is very advanced but a bit outdated which makes some pages look bad, for example it shows texts and images in the same place (this always occur when opening gsmarena webpage)(at least with 5.22 firmware). The browser is always trying to show pages exactly the way they are supposed to be shown which makes it very slow, in some cases disabling plug-ins helps a lot. 6-The best phone I've ever had by far. a friend of mine had this phone. he used it, well...overused it (I could say), until it was almost broken from the outside, still working these days. he tried different types, but couldn't find anything as good as 9500. he found Nokia E90 Communicator. he said it's the best. so, if you like Nokia 9500, you will love E90 communicator. would u plz tel me wht's the soluation. 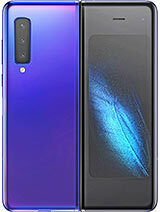 i am willing to get this phone but i would like to ask about if it is good in dealing PDF files or not? to Sérgio Alegre "ctrl"+"shift"+"F" this is hard format or just restore all settings?? Restart the device pressing "ctrl"+"shift"+"F"
I have one question (I speak a little English) I know that the phone has Exel, my question is, can I create a document in Exel? or the only thing I can do is see the documents and send by e-mail to another person?, I need to work in Exel with the phone, so this is my question. Thank you everybody.